Classes are offered in multi-class sessions requiring registration. 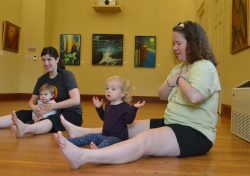 No drop-ins permitted in kids and family yoga class series. Please register the child participant in all kids and family classes. One adult must be present for any class described as family yoga or for children under 4 years old: Family Yoga, Preschooler Yoga, Tot Yoga, etc. Up to two adults are welcome to participate these classes on weekly basis and the same adult need not be present every time. In order to create a safe space for the children and because of limited studio space, we request that students not bring observers to class. If grandparents or other special guests wish to see class, please encourage them to participate. Occasionally we offer single-date classes, typically for older children or infants, but sometimes as a demo and not associated with a series. Registration in advance is still required for these classes and those not meeting enrollment minimum in the week leading up to class may be cancelled. Kids and tweens yoga classes not described as family classes are for the children only. Due to limited studio space and to respect the students, family members and friends are asked not to observe these classes. Many of our venues are near cafes and shops. Course material is cumulative so drop-ins are not allowed. 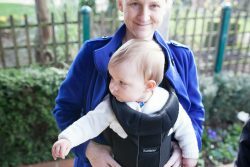 Families that miss a class are welcome to do an appropriate drop-in in another postnatal class as a makeup or attend the same week in a subsequent series. Family, kids, and family classes require series commitment. Need to miss due to travel, illness or other conflict? Take advantage of our generous makeup policy. If there is space in your class, you may bring a friend as your make-up class (instead of option 1). Guests need to create an account in our registration system to provide contact information and sign the waiver. Please confirm space availability with your instructor. How do I reserve a makeup class? Our registration system has make up reservations. Log in to the system and look for makeups in the drop down menu under classes (this option only appears for registered students). I really am only able to attend a couple classes, can I drop-in? Prenatal Yoga is the only class where we allow drop-in attendance. Even for that class we recommend committing to a series or a multi-class pass. 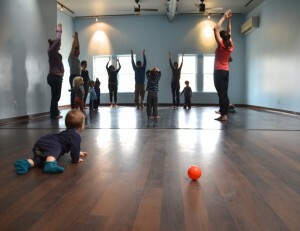 Occasionally we offer pop up classes for families to try out a single class with no commitment. 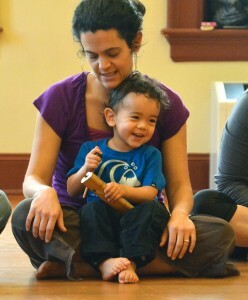 Those tend to happen at the end of a term, but Baby Yoga & Play is scheduled for semi-monthly weekend pop up classes! Get on our newsletter list to be notified. For safety and consideration of your fellow students and comfort of your child, please do not bring sick children to class or camp. Please keep your child(ren) home from class if they are experiencing any of the following: Fever, vomiting, an unexplained rash, diarrhea, conjunctivitis, mouth sores (especially in the oral-staged children), persistent and frequent cough that interferes with your child’s class involvement or poses a risk to others, extremely runny nose, or any other contagious illness. Please note that older children too sick to attend school should not be tagging along to yoga class. We have a very liberal make-up policy so please take advantage of that if your child (or you) is ill. Unfortunately it is not possible to do a makeup from camp. See our camp policies for more details.